This volume gathers the leading research on antibody-drug conjugates and immunotoxins. Following a rigorous overview, the volume delves into focused sections on all aspects of ADCs and ITs from clinical development through to targeted therapeutic applications and the latest technologies. 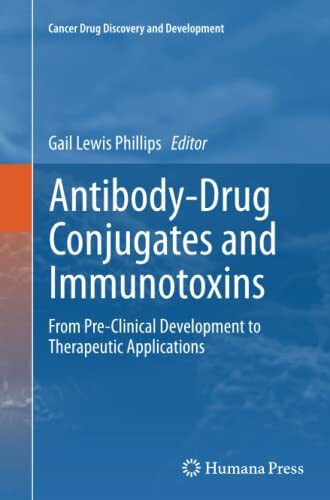 This volume collets leading research on antibody-drug conjugates and immunotoxins. It examines all aspects of ADCs and ITs from clinical development through to targeted therapeutic applications and the latest technologies.